Formerly considered one of the healthier greens to include in your diet, sprouts are now the unwitting culprits of food poisoning. The U.S. Food and Drug Administration (FDA) has released a new report in which it divulges that sprouts have been responsible for serious cases of food poisoning over the past couple decades, sickening more than 2,500 people, causing nearly 200 hospitalisations and three deaths. Salmonella was the bacteria most commonly found on the sprouts, followed by E. coli and Listeria. Spoiled greenery is no laughing matter. Researchers for the FDA, whose main task is to investigate outbreaks and find ways to prevent future occurrences, said in their report: “Sprout contamination continues to pose a serious public health concern.” The report was not published in a peer-reviewed journal, but presented at a recent ID Week 2016 meeting. The grow-time for sprouts opens a window in which seeds can become contaminated. Sprouts are grown by placing seeds in water in a warm environment. Humidity and warmth encourage bacteria to fester in the seeds’ moisture, giving sprouts enormous opportunity to host bacteria and enabling rapid bacterial growth. If a seed goes into the sprouting phase already contaminated with bacteria, it will quickly multiply, according to Dr. Kathleen Gensheimer, director of the FDA’s Coordinated Outbreak Response and Evaluation Network (CORE) and lead author of the report. Most sprout outbreaks are tied to seeds contaminated before the growing process, said Gensheimer. During harvesting, seeds are at risk for contamination; bacteria can survive for months on seeds stored in dry conditions. Recently, bagged salads were cited as a food poisoning risk because cut greens allow salmonella to grow, even while refrigerated. Once cut, the juices in produce like fruits and vegetables are no longer separated by their cell walls, allowing bacteria to grow. In the same vein, sprouts are at risk for bacterial contamination because of the time the product spends in storage. 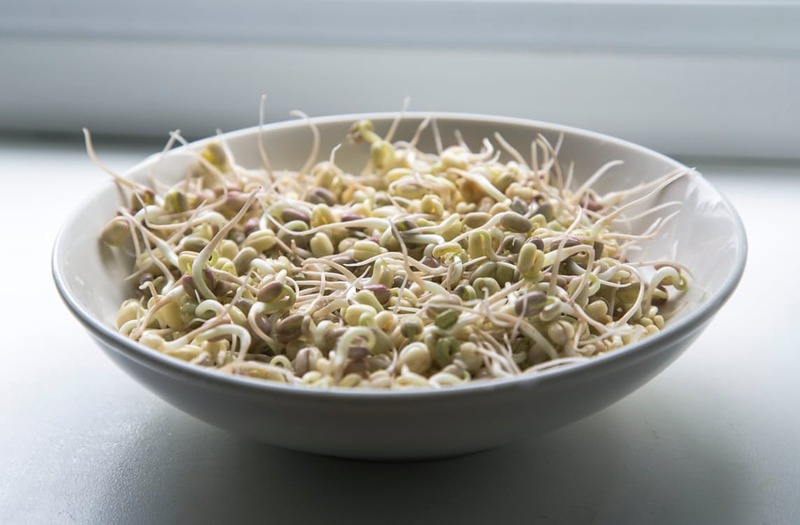 Some of the worst culprits under watch are alfalfa, radish, and bean sprouts, according to Dr. Rick Holley, a University of Manitoba professor emeritus working in the food sector since 1979. 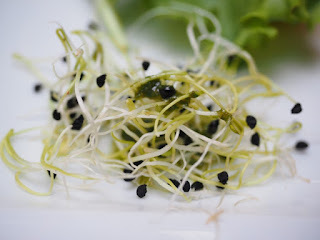 Typically, alfalfa, clover, and radish sprouts are eaten raw, firmly tying these raw varieties to sickness. Generally, they are served atop salads, sandwiches, or wraps. Conversely, sprouts from beans are usually cooked before eating, greatly reducing the risk of getting sick from eating them. The U.S. government advises that children, the elderly, pregnant women, and those with weakened immune systems should abstain from eating raw or lightly cooked sprouts.